Kelly Lifgren threw a gem in this August 1988 game for Spokane and he did against Boise, one of the top teams in the league, according to The Spokane Chronicle. Lifgren threw a complete-game shutout, giving up two hits and striking out six, The Chronicle wrote. "I respect their team 100 percent," Lifgren told The Chronicle. "They're not leading the league in hitting for nothing." Lifgren turned in that start in his first season as a pro. He went on to play in six seasons. He made AA, but he didn't make it higher. Lefgren's career began that year, taken by the Padres in the second round of the draft out of Glendale Community College in California. Lefgren started with the Padres at short-season Spokane. He debuted with a poor outing, giving up five earned in four innings of work. He pitched into the eighth in a July game, giving up two hits and one earned run for a tough-luck loss. Overall for Spokane, Lefgren went 6-3, with a 3.69 ERA in 1988. He made single-A Riverside in 1989. He went 5-11 ther, with a 4.02 ERA in 20 starts. 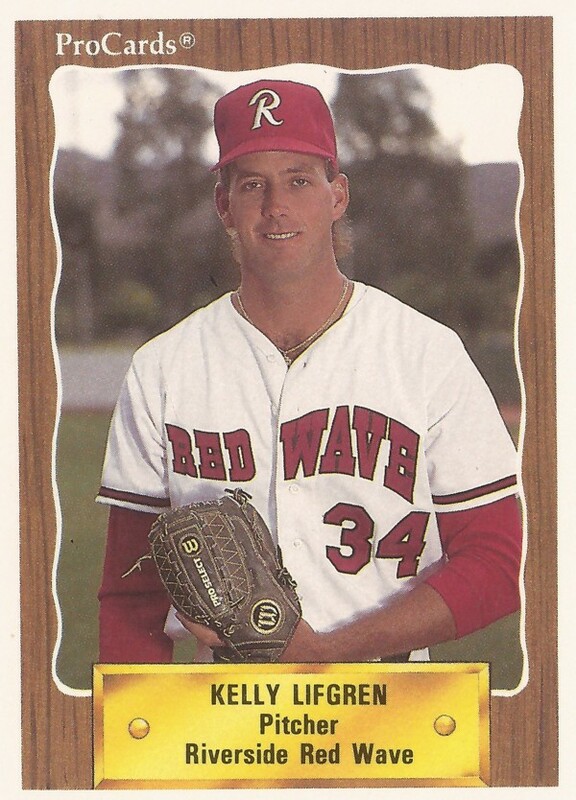 Lefgren returned to high-A Riverside for 1990. He went 6-14 that year, with a 4.55 ERA. He stayed at high-A for 1991 at High Desert. In 33 outings, 10 starts, he had a 5.73 ERA. Lefgren then made AA Wichita for much of 1993 and all of 1994. He went 5-3, with a 5.35 ERA in 37 outings, four starts, for Wichita in 1994. That was his final season as a pro.